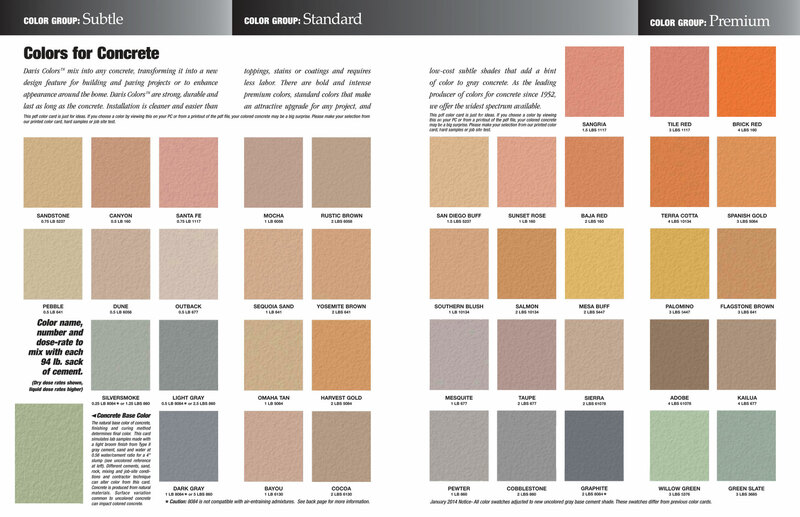 Did you know that concrete comes in virtually all the colors of the rainbow? 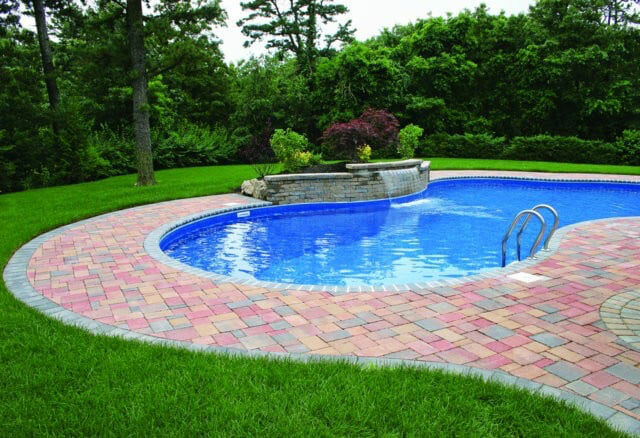 If you’re looking to add some color to your landscape while adding significant value to your home, colored concrete is the way to go. 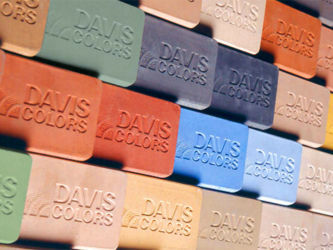 We use Davis Colors concrete mix because they provide the best bang for your buck. Davis Colors can be used used in cast-in-place, slab-on-grade, precast, tilt-up and decorative concrete; shotcrete, mortar, concrete masonry units, pavers, retaining wall units and roof tile. They can also be used to color cast stone, plaster, stucco and other cement-based construction materials. Download the Davis Concrete Color Selector here to see what is possible. If you like what you see–and we’re sure you will–give us a call to come out and site-test how these vibrant colors might look on your property.